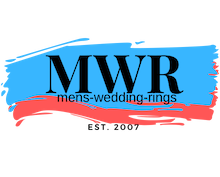 Strong and durable, this wide domed ring is one of our most popular men's tungsten wedding bands. 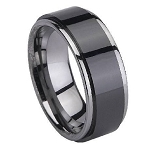 Made from cobalt-free tungsten carbide, the face is slightly domed and the inside edges are rounded for a superior fit. 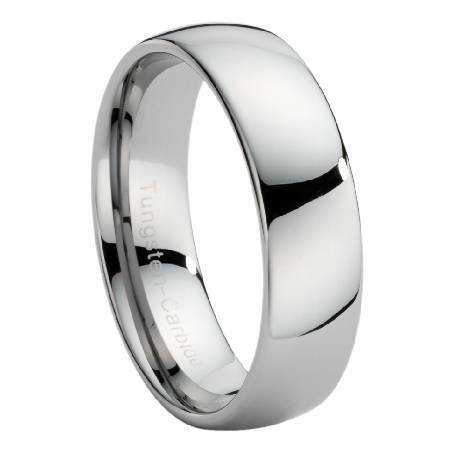 This wide tungsten band is an excellent choice for the man who likes a more traditional look. Comfort-fit rings should be ordered 1/2 size smaller! looks great, I only wish i would have ordered the 5mm version the 8mm is to large for my finger. This ring looks great. Very well made. I think it's a great ring for the price! And, the shipping is super fast which is a huge plus.